Start off with the best headphones for sports and working-out so far. So a good sports headphone is one that’s stable enough for running, portable enough to not hinder your movements during your workout routine and sufficiently breathable so that you don’t sweat more than you have to. Of course, they should sound good too. So here are our top recommendation for the sports headphones we’ve tested based on their price range. In the budget range we recommend the Mee Audio X7 or the SoundPeats Q9A. 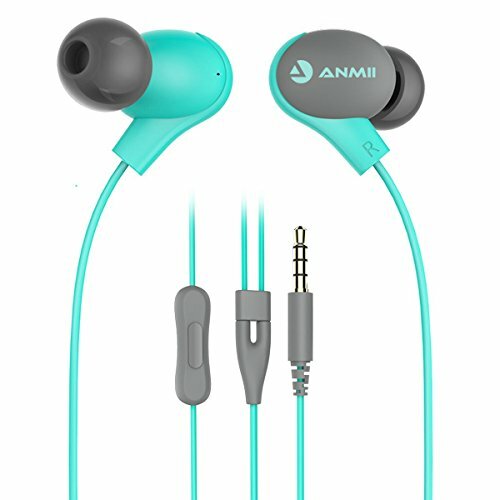 The Mee Audios are not the best sounding headphones on this list and the earbuds are a little bulky, but they’re angled fit well within the contours of your ears which makes them a bit more comfortable than typical in-ear design. They have a decent wireless range, the longest battery life out of all the Mee Audio headphones we’ve tested so far and they’re stable and portable enough for working out. Unfortunately, their sound quality is a bit piercing especially with already bright tracks which may be a deal breaker for some. In this case consider the Soundpeats Q9A instead. US have a more bass heavy sound that’s not as sharp as the mee audios. 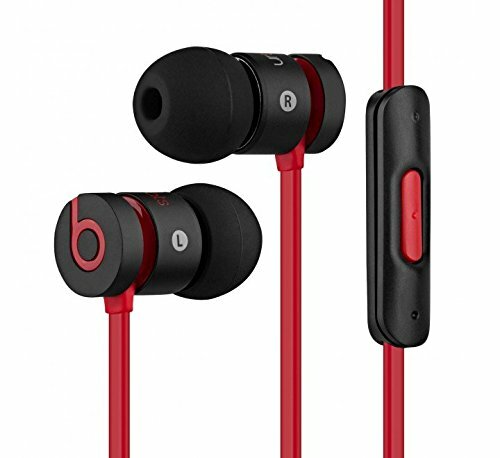 They also have a better ear hook design that’s reminiscent of the Beats PowerBeats but at a fraction of the price. 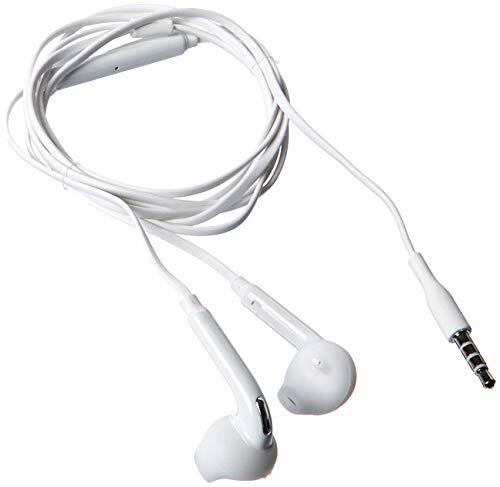 The ear hooks prevent the buds from falling while you run but the buds themselves may slide out off your ears from time to time. They do not have the best build quality and they have a shorter battery life and range than the Mee Audios but. If you’re looking for a cheap wireless headset to take to the gym then they’re probably be your best bet. In the mid-range we recommend either the Beats X or the Jaybird Freedoms. The Beats X have a surprisingly well-balanced sound, a great wireless range and a good battery life a with quick charge feature that’s pretty convenient if you forget to charge them overnight. 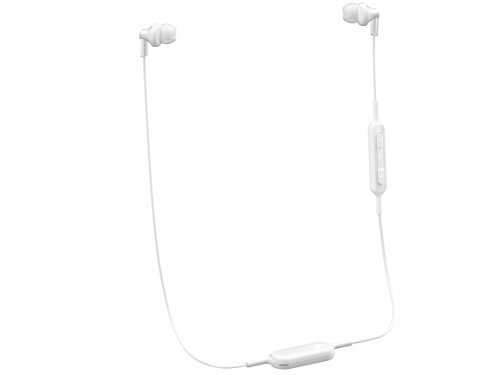 They’re a lot more portable then most of the other around-the-neck headphones thanks to their flexible neck band that you can fold and put in your pocket. 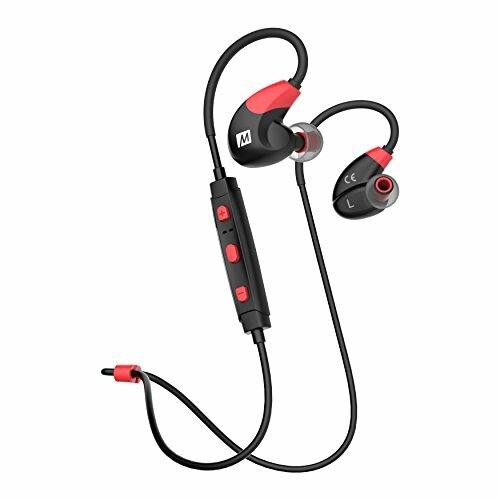 The in-ear fit, the wing tips and neck band design is stable for most workout routines. Running jumping and even shaking your head from side to side rarely made the buds drop which makes them a good option for sports. Unfortunately, they’re a bit more optimized for iOS so they won’t be as convenient for Android users. In this case the Jaybird Freedoms are a better, significantly cheaper alternative for sports. They do not sound quite as good as the beats but come with a great app that lest you customize the sound profile to your liking. They’re a bit more lightweight, portable, and come with multiple stability fins and tips to help you find the right fit that will stay put as you exercise. Their biggest issue is with the cumbersome charging clip , which is somewhat limiting If you forget it at home, you won’t be able to charge the jaybird and it’s a rather bulky accessory that if you leave it attached to the inline remote will pull on the right ear bud and sometimes makes it slip out of your ears. Now for the best headphones for sports in 2018 so far we recommend the Jaybird Run They perform about the same as some of the older jaybird models like the Freedoms and X3 but they’re truly wireless. This comes with some advantages like a more stable, less cumbersome design for sports and great portability. They’re also decently sturdy, sweatproof have a combined battery life of 12 hours and a good sound that’s customizable thanks to the MySound app from jaybird. They’re easily one of the better options if you want to go truly wireless especially for working out. But unfortunately, they also have a few issues. They have a lot of latency which is not ideal for more casual uses like watching videos and a bulky charging case that’s that will stick out in your pockets and somewhat reduces their portability. Overall though, they’re a great sports headphone and they’re not as pricey as some of the other truly wireless design which is good. Some of the headphones that didn’t make the list but still deserve a mention are the Bose SoundSport Free, the Jaybird X3 and the Apple Airpods. The Bose SoundSport Free are one of the best sounding wireless headphones we’ve tested. They have a sturdy and stable design for sports and they’re truly wireless and also sweatproof but, they have a lot of syncing issues especially when watching videos. Their case and the ear buds are quite bulky and somewhat counter intuitive for a truly wireless design and they’re quite pricey at around 250 $ or just below 200 if you can get them on sale which may not be worth it for some. And that’s pretty much it, for test results of these headphones.